to hold on just two years more. "The late eminent geostrategist Vadim Leonidovich Tsymbursky liked to paraphrase Dostoevsky when talking about pro-Western Russians: 'We are Europeans and are pursuing fun. No more and no less!' But the geopolitics of 'fun' has exhausted itself under the joyful applause of homosexuality and infanticide. Such people cannot even be called clowns; they are too evil to be clowns. … If we can get through the next year, we will not break, we will not give in, we will not beg for a 'fun' pain-free death. We'll be masters of the circumstances, including even of Europe. However, if we break we'll be thrown onto the dustbin of failed civilizations. We'll be left to rot, with smoke coming off the pile and fleas and rats crawling all over us." My generation has a strange relationship with history. We grew up with the conviction that history would be written by and for us. Almost every boy grew up reading The Book of the Future Commander and saw himself, if not as Miltiades at Marathon or Caesar at Pharsalus, then certainly as Prince Sviatoslav defending Dorostol or Prince Vladimir taking Korsun [ancient name for Crimea]. But history deceives us, screeching to a halt before our very eyes. That is exactly what happens in The History of a Town [Mikhail Saltykov-Shchedrin's 1870 a satirical novel] and again in 1990, when the book was made into a film entitled Ono. During perestroika it was shown to the intelligentsia. While the film is a bad parody of Russian history, the sensation of decay and of history being washed away that it creates is quite accurate. But time never really stands still. At some point in the 1990s there was a sense of time running backwards, running over and killing, ravaging and nullifying everything in its path, zeroing out all that came before. The country receded to a time before 1917, before the 17th century all the way back to the Paleolithic era of 17,000 BC, before the mammoths were extinct and the ice caps melted. Culture was then based on hunting the big game living along the Don and Donets rivers, but there was a collapse and the hunters themselves became extinct due to hunger. The immense post-glacial space was filled with dirty puddles and the shore covered with piles of fish bones and oyster shells that were descended on by desperate coastal nomads. At some point these fish bones became the limit of our existence. It seems as if, having being confronted with the end of history, Russia decided to succumb to the innocent pleasure of decadence. We became an unrepentant country of petrodollars, each year alternating between "we are a young country of 20 years" to "we have a great history going back thousands of years." 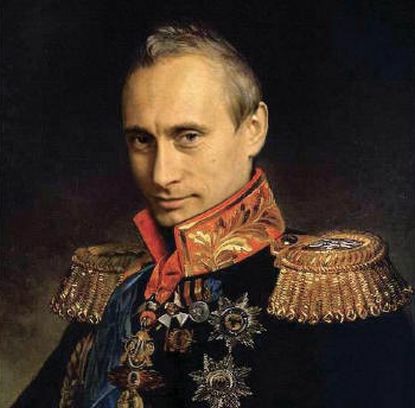 In any case, history - 200 years since the Battle of Borodino, 300 years of St. Petersburg, 1,000 years since Yaroslavl was founded and 1,100 years of Russia - seemed like something of a natural resource that could be exchanged for a stable currency and better popularity ratings. Our future appears similarly constrained. Russia did get a little spoiled. It somewhat went to seed, rarely flexed its muscles, grew somewhat lazy and divested itself of its remote non-European regions. In the end our own middle class, which wanted to live "like other people" - without failure or ambition – was celebrated. We would be diminished and reduced, dissolved into the periphery of Germany, becoming nothing more than a vast chunk of land next to Estonia and Romania. Today it seems absurd, but not long ago many thought this was the best possible outcome. Through trial and error and because of diminished foreign policy ambitions, new leaders and a new ideology were chosen. The basis of this syndrome of learned helplessness was of course based on concern over Russia's fate. Ultimately, we bought into historical euthanasia- to walk away quietly, slowly and without pain, blood or dirt, fascinated by the Louis Vuitton bags given to unloved women. We thought: "Perhaps we don't even deserve that?" "Don't deserve that!" Please! Molotov cocktails were lobbed by Maiden goblins onto our heads. It became clear that there wouldn't be any euthanasia. It looked like the "Cossacks would be set upon by the cackle of gas-powered chain saws" accompanied by the hoots and laughter of the "civilized" world. What happens next, I really do not know. Despondent Europeans suddenly got up on their hind legs and issued a roar - not like a bear, a bear is too brutal, but like something more predatory. It seems to me that this transformation of Russia was the result of a spontaneous, instinctive exposure to nature rather some cunning plan. The version that accuses us of being calculated and deliberate fails to take account of our constant stalling and loss of momentum during subsequent events. But one short burst was enough to make the pendulum of Russian history return to its usual swing (although it didn't appear so for us, Russian history's modern stepchildren). The forgotten tools of this history, which the current population knows little about, are all of a sudden back in our hands, and we are remembering how to use them. It is a sense we are living on the set of a Russian version of the blockbuster Night at the Museum. Here they've stolen the Scythian Gold; there is Prince Vladimir with his entourage; here is 18th century Cossack Ermak with his men; there, one after the other, are admirals and commanders Fyodor Ushakov, Alexei Senyavin, Pavel Nakhimov, Alexander Suvorov and Mikhail Kutuzov. And then, members of the Home Guard and the Azov Battalion. Even Gogol, his ancient Kazakh Taras and his prophecy about the "approaching Orthodox czar from the East" suddenly turned up as unwanted guests. Mighty ancient words and tectonic fault lines are too serious for this age. History suddenly speaks to us through geography. In the annals of centuries gone by, things stumbling from Prince Svyatoslav who took Kerch-Panticaeum [in Crimea] to the genius of Athenian democracy and Pericles, who sent the Athenian fleet on an expedition to the Black Sea and Crimea. Incidentally, and I don't know why, being reminded of this terribly embarrasses sensible "supporters of democracy." [Pericles is said to have taken a fleet into the Black Sea to demonstrate Athenian power and secure the grain route from the Tauric Chersonese (the Crimean Peninsula in modern Ukraine]. Evidence suggests that the course of history can be changed by small groups. It turns out turn out it takes just a few people - fewer than the conquistadors needed to take down the Incan Empire - for fissures to appear in the New World Order. History is full of pain, blood, tears and tragedy. Which brings us to May 2 in Odessa (pro-Russia unrest in Ukraine). There had already been six months of martyrdom in Donetsk, Gorlovka and Lugansk. But there had been many tragedies in the era of stagnation - meaningless tragedies bereft of the experience of catharsis or purification. This year there was no such meaninglessness. On the contrary, every wound and every death made those who survived lighter, bolder and meaner. Of course, there are those who are made seasick by the pitfalls of history as if someone poured sand and glass into their engines. Some gathered openly in crowds to fight the spasm and demand, "Bring us back our euthanasia! We want neither life nor pain! We are ready to disassociate ourselves from this country – a country that is a shadow of itself." 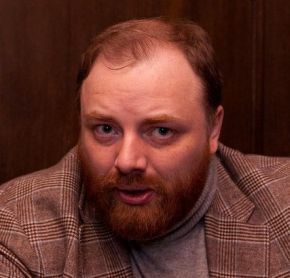 The late eminent Russian geostrategist Vadim Leonidovich Tsymbursky liked to paraphrase Dostoevsky when talking about pro-Western Russians: "We are Europeans and are pursuing fun. No more and no less!" But the geopolitics of "fun" has exhausted itself under the joyful applause of homosexuality and infanticide. Such people cannot even be called clowns; they are too evil to be clowns. I'm certain that if we can get through the next year, we will not break, we will not give in, we will not beg for a "fun" pain-free death. We'll be masters of the circumstances, including even of Europe. However, if we break we'll be thrown onto the dustbin of failed civilizations. We'll be left to rot, with smoke coming off the pile and fleas and rats crawling all over us. Once history has settled and cooled, everything appears logical and predetermined, but during great historical spasms, nothing is ever predetermined. Historical destiny is not really fate - but action.